Whether you’re decking the halls or ringing in the new year, throwing a festive fête is the perfect way to bid farewell to months gone by. So gather 50 or 5 of your closest friends and family for a holiday celebration done the Young Living way! 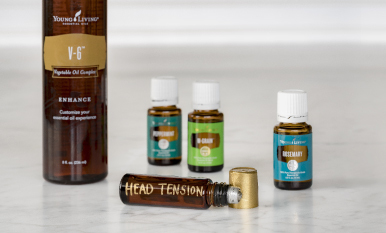 If you’ve spent time at the International Grand Convention, you know that Club Red is the place Young Living members head to when they really want to let loose! With a great soundtrack, NingXia drinks flying left and right, and some of the best dance moves you’ve ever seen, Club Red is a wall-to-wall party that we never want to leave! 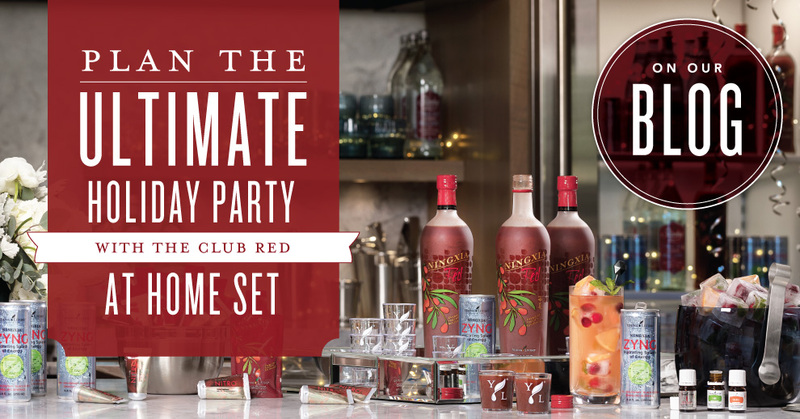 With the new Club Red at Home Set, now you can play host to the hottest party around while enjoying the benefits of NingXia Red®! Check out our tips below to throw a great holiday party! The holiday season fills up fast! As soon as you can, secure a date for your soiree and send out invitations. A text or e-vite is fine, but if you want your guests to feel truly special, go the extra mile and send a printed invitation. Make sure to let them know they won’t need to worry about a designated driver for this blowout; things might get wild, but the bartender will only cut you off because she doesn’t want you to drink all her NingXia! Nothing says welcome like the warm, spicy scent of Thieves®. Make party prep simple with Thieves Household Cleaner. This all-in-one cleaner lets you tackle every chore, from bathrooms to baseboards, without harsh chemicals. From there, add the décor that makes the party yours. Whether it’s glam with glitter or low-key with a fire in the fireplace, tie in your personality with fun additions throughout the house—and don’t forget the bathroom! Nothing denotes a well-planned party more than attention to detail in the most forgotten spaces. Club Red gets its magic from two things—inventive NingXia Red shots and a killer soundtrack. Make sure your celebration never loses its buzz by keeping your guests moving all night. Curate a holiday-themed playlist full of old and new favorites, hire a live band, or for a vintage twist, break out the record player and spin vinyl throughout the evening. Humans cannot live on NingXia alone—believe us, we would if we could—so make sure your friends and family have some delightful snacks to nosh on all night long. Keep the food light and healthy so the focus can stay where you want it: on the NingXia Red shots! BIRD BOMB: A surefire party starter! Add NingXia Nitro to a shot glass; then add the oil drops. Add just enough NingXia Red to fill the shot glass. In a separate, larger glass, pour a full can of NingXia Zyng (no ice). Drop the shot glass into the larger glass and drink the whole beverage as quickly as possible. FIRECRACKER: One of the spiciest ways to get your NingXia! Add NingXia Nitro to your shot glass and add the oil drops. Top it with NingXia Red and get ready to warm up! You’re set to celebrate the holidays! Check out our posts on essential oil ornaments and 12 days of oil-infused traditions to really get in the spirit of the season! 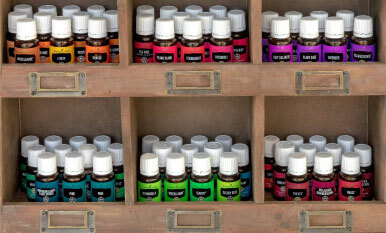 Now that party planning is underway, which Vitality oils are your favorites to add to NingXia shots?